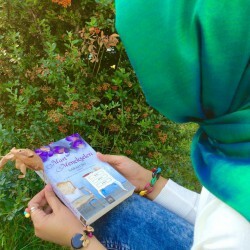 A book about the reality and facts which women faces everyday in their lives. 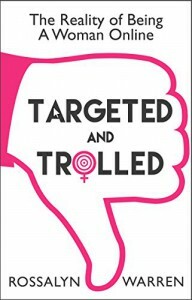 Targeted and Trolled is precisely written and portrays the true image of this gender oriented society. The book highlighted some incidents which happened to some of the renowned women who are raising their voices against sexual harassment and supporting the victims. Abuse and shaming are the very common examples of online harassment which women faces more than men. Most of us would have witnessed these acts on many of the social networking sites. Often men are not aware that women are sexually abused and shamed on internet. 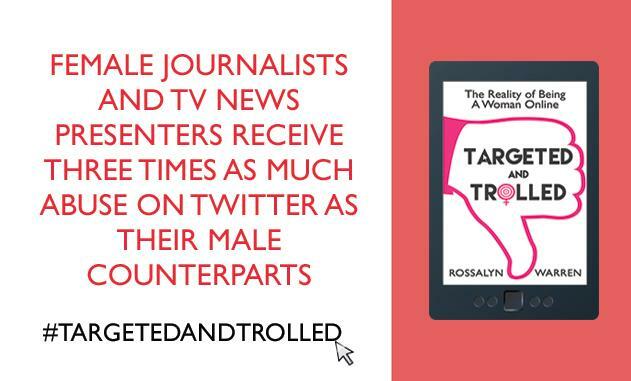 Mostly, online harassment is gender biased. Men are usually harassed and shamed for intellectual in abilities where as women are harassed and abused sexually for being an online user. Minorities are also targeted often. 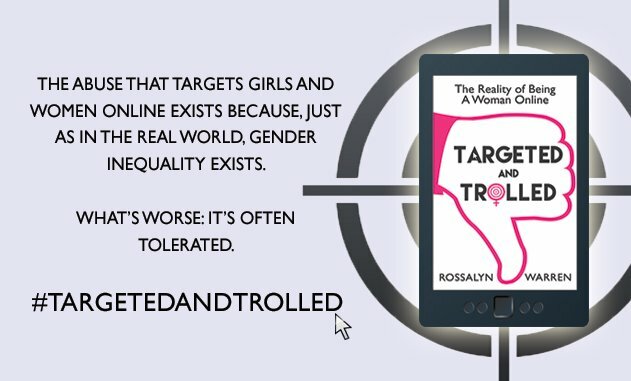 Muslim women are mostly trolled for sharing their opinion online and they are usually sexually harassed and abused by male online users from other religions. Being a Pakistani female citizen, I can totally understand the way society often blames the woman. In some rural areas women are not allowed to have social media profiles and to be an online user. 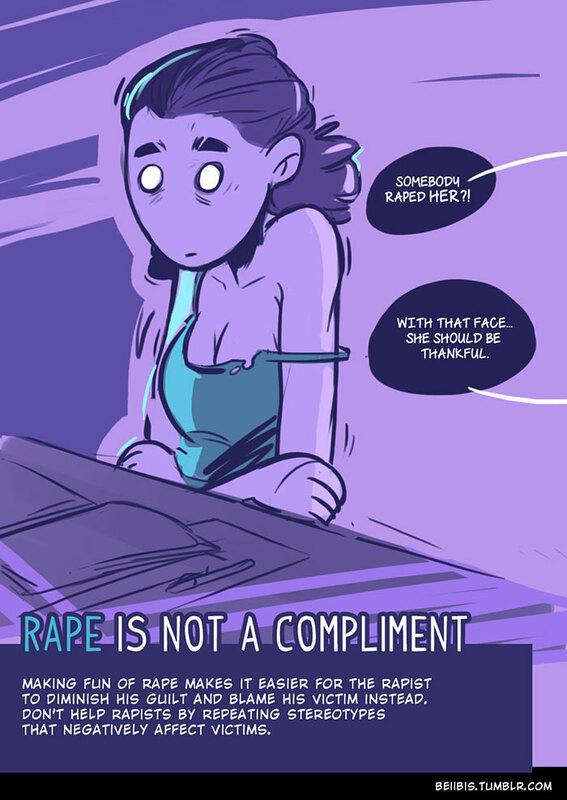 The main cause of this mindset is the fear of being sexually harassed online. Due to media awareness and campaigns led by NGOs this mindset is changing. Most of the times Pakistani women are not even aware of the term online harassment. 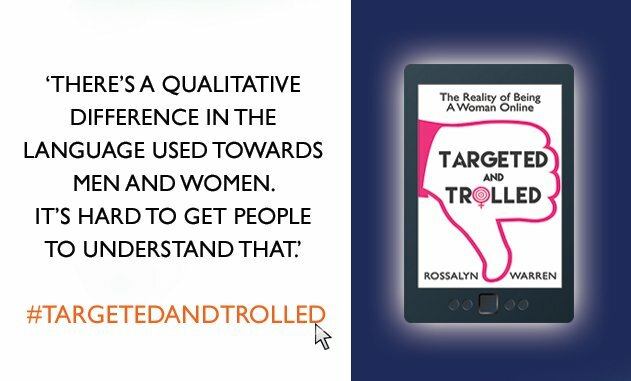 As Rossalyn has stated in the book, that most of the times women think that online harassment is a part of the deal for being an online user. Wilson also put an emphasis on women that owning their voice is a powerful tool which they must use online. 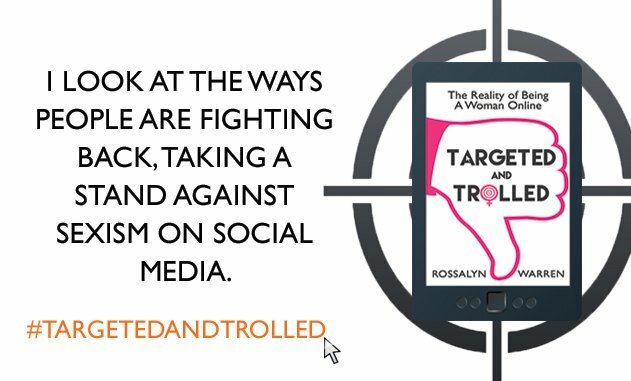 It good to know that women all around the globe are fighting in their own ways against online harassment and sexual harassment. Victims are raising their voices and spreading out the word through social media to spread awareness and to support each other. Disclaimer: I got a galley of this e-book via publisher and getting a review copy does not altered my opinion of this book. I loved the cover art. 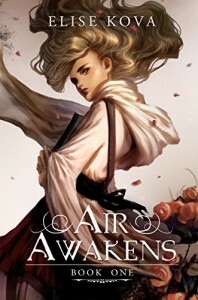 I must say, Air Awakens is my favorite fantasy book of this year so far. I love books which makes you question your conscious and are thought provoking. 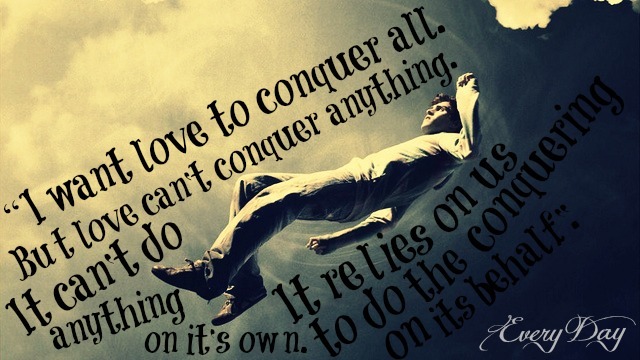 Air Awakens is definitely one of those books. It is a treat for your imagination. A must read, highly anticipated and best fantasy debut young adult book of Summer 2015. Read the whole review on the link mentioned below and don't forget to enter the giveaway (international) for a signed hardcover of Air Awakens. 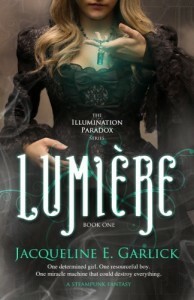 Enter to WIN A Prize pack of Lumiere by Jacqueline Garlick. 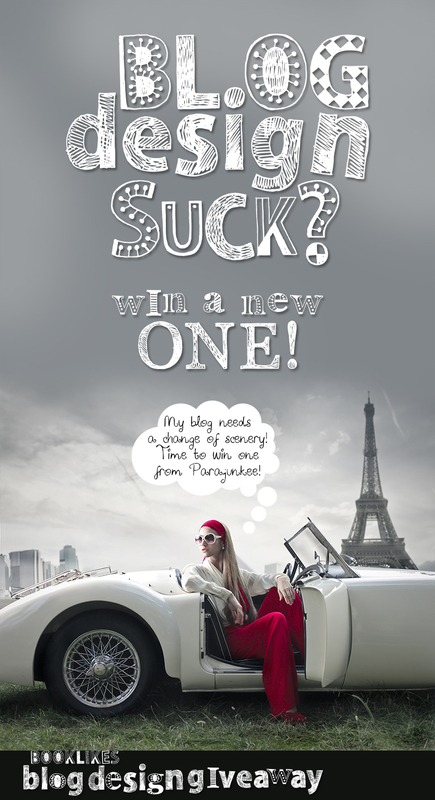 Follow the link in the source to enter. 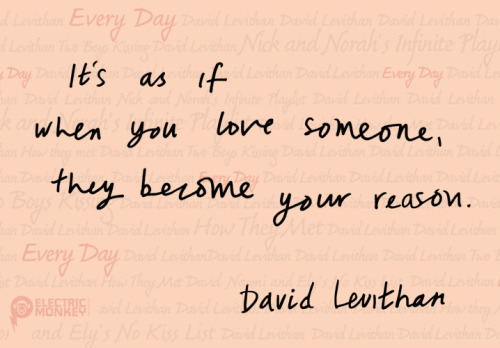 Every day by David Levithan tells the story of "A". "A" is a spirit and it has no knowledge of its origin or history. Each day "A" wakes up in a different body, every day is a different person who is of the same age group as "A". For "A" gender is not a problem because "A" believes in individualism. "A" tries to spend the day without inferring into the life of its host. But one girl changed everything. One day "A" wakes up in a body of a boy named Justin. Everything goes fine until he meets Justin's girlfriend Rhiannon. Since, then "A" got spell bound by Rhiannon. "A" breaks all the rules he has lived for. Day by day "A" falls more for Rhiannon. Eventually, "A" started stalking her and there comes a time when "A" cannot bear anymore and tells her the truth about himself. I was highly anticipated to read this book. I've heard so much praise for it. But, it doesn't lived up to my expectation. I was a bit disappointed while reading it. The plot was missing something. Even, Levithan himself said that this book came out of nowhere. I liked it, but not loved it. It is a good book which highlights the importance of individualism. It emphasizes that gender/race or color is not important. What lies within one's heart and soul should be cherished. 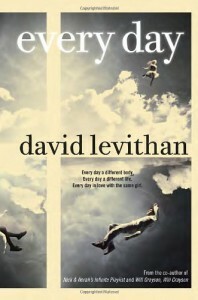 I must say this book made me realize that we humans are nothing without memories. They shape our beliefs, character and every aspect of our lives. "“If there's one thing I've learned, it's this: We all want everything to be okay. 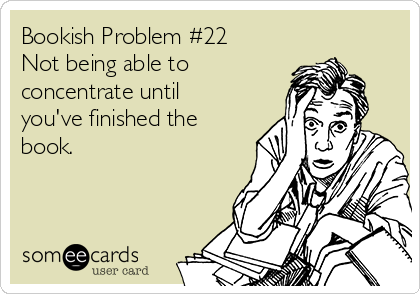 We don't even wish so much for fantastic or marvelous or outstanding. We will happily settle for okay, because most of the time, okay is enough.”"
Julie Richarson just started her love life. There are loads of things for her to grasp, even her very own existence. The past month just changed everything for her. Julie found the truth about herself and her duties. She is not an ordinary witch now. She is now following her father's steps and has become a Shadowcull. Julie figured out her feeling towards Marcus and surprisingly Marcus was also into her. Her mom doesn't approve her love life that much and she thinks it would divert her attention from her duties. Something Dark and strong is luring the city. As she went out to watch movie with Marcus in cinema, things didn't work as they have planned. They saw their class mate(Mike Olsen) standing in the between the railway track and showed no sign of movement since the last fifteen minutes. Julie sensed malice around Mike and when she scanned through her band, she wanted to vomit at the sight. Mike was covered in larvae and she sensed black magic behind all this. After saving Mike on that night by Soul Worms, Julie and Marcus saw the death of Travis(another famous class fellow) and he was also possessed by Soul Worms. A black mage is possessing all the students on Crescent Ridge High School and turning them into hollow men. Everyone is freaked out after the death of Travis Butler and now the relationship between Julie and Marcus is also on the stake. Julie teams up with the white witch coven for the first time, but the mage's forces are so strong as he is so many years old. Even the witches are in the danger zone now.......No one is SAFE! I loved the Student Bodies as I've loved the Poltergeeks. It is a joyful read. It unravels so many new things and the story went upside down. The thing which I liked about the series is the Julie's bravery and that she is head strong. 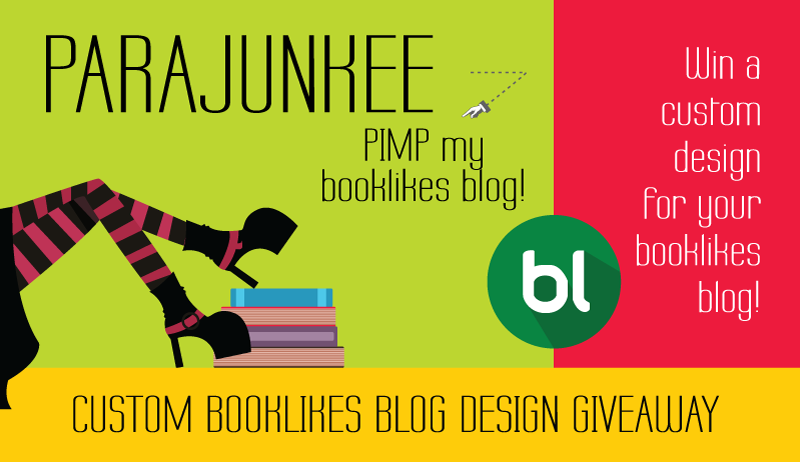 I love books with the strong protagonist and the author created Julie's character very well. It is not too perfect and not too dumb. So, Julie also has her flaws and she knows it. Marcus is a real gentleman. He is always there to support Julie and even risked his life. I love his character although he is an infamous, nerd guy but he is honest and caring. The story is well plotted and linked together. The relationship between Julie and her mom is something to which most of us can relate to. It is a bitter-sweet relationship, both do adore love and adore one another, but are head strong to confess and express their feelings towards each other. 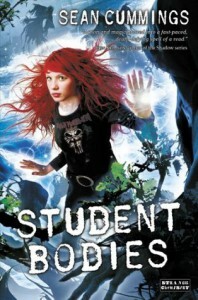 I loved Student Bodies so much and it was so far better than the previous one in the series. I can't wait to read the next book and find out what would happen next as the story took a new path. 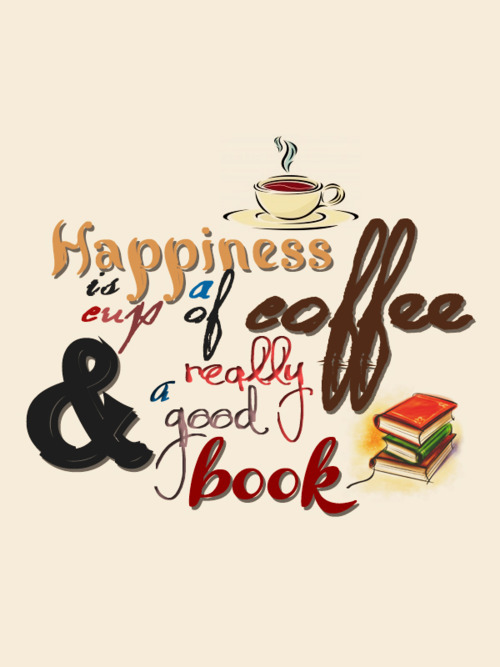 And I assure you that you'll enjoy it. A fast paced ride through emotions. An urban fantasy setup which is plotted along paranormal lines in an amazing and freakishly awesome way. This is my first book that I've read by Kamila Shamsie. 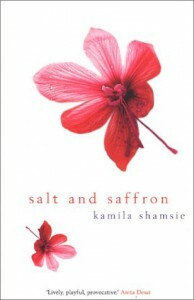 Salt and Saffron is a beautiful, interesting, and very well-written novel. I am eager to read Shamsie's other books. The story revolves around Aliya; a Pakistani girl of an aristocratic family who becomes reacquainted with family members – first in London and then in Karachi. Aliya thinks of herself as a family historian and a storyteller. After spending four years of her life at university in America for her studies, she was unaware of so many secrets about her ancestors. There are so many thoughts which were haunting Aliya's mind as the things went strange into the family; Why her cousin Mariam doesn't speak? Who are the not-quite- twins? The very peculiar thing is Aliya to some extent start believing herself as one of the not-quite twins.It is the not-quite twins who every time are the source of disaster and shame for the Dard-e-Dil. Aliya knew so little about the Partition of Indo-Pak which divided the family. Caste, family and social status comes in the way of Aliya's love. Will she become a matter of shame to her family being a not-quite twin or not? Clary is an ordinary fifteen year old girl. Everything in her life was going fine until one day she went to the Pandemonium Club with her best friend Simon. She saw the murder of a boy and eventually he vanished into the thin air. Three teenagers wearing strange tattoos and holding strange weapons, murdered that boy. On that night Clary was introduced to a new world of "SHADOWHUNTERS". She met Jace Wayland on that night and since then her life went upside down. Jace Wayland is one of the Shadowhunters, who has killed the demon boy on that club night. Shadow hunters are assigned to keep the earth safe from the demons and other harmful supernatural creatures. Within twenty-four hours, Ravener (demon) kidnapped her mother and she has no clue what a demon could possibly want from her mother. Clary's mom had always tried to keep her away from the Shadowhunter world and stuff. But when her mom got missing, she unravels the truth about herself and her family history. 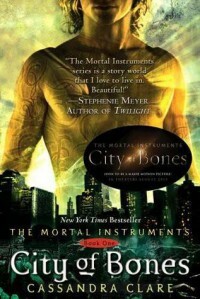 Clary is involuntarily being attracted to Jace, but her friend Simon has been secretly in love with her. She doesn't know what is awaiting next for her with everything going against her. Clary has to find her mom and the truth about herself and to embrace her real personality. I really enjoyed this book. It was filled with adventure and action. 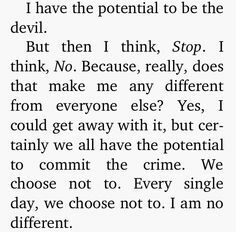 I love the villain the writer created. Honestly, he's the most manipulative and attractive villain. I like the Clary's character, she is just like a normal teenage girl with whom the other girls can relate to. Her geeky buddy Simon is the sweetest and supportive friend, we all wish for. Jace Wayland is a fallen angel who is an introvert and lives under the shadows of his father. I think Magnus Bane deserves the award for being the fashionista and coolest warlock. The plot is pretty twisted and I wasn't expecting the truth to be so bittersweet and heart wrenching. I was expecting this book to be filled with awesomeness, after all that hype and buzz about it. But it was good and enjoyable. 1866 Arizona, Confederate officer John Carter, Gentleman of Virginia, forever aged 30, wakes naked on Mars. Low gravity increases his speed and strength exponentially, so he impresses green alien Thark captors with fighting, wins high rank. He frees Dejah Thoris, Princess of red men in Helium, only to lose her to the Prince of opposing red Zodanga. Former Confederate soldier John Carter is trapped in an Arizona cave and then wakes upon Mars, known to the natives as "Barsoom". Because his body is built for Earth's gravity, he has tremendous strength on Mars and can leap great distances with little effort. He quickly wins the respect of Tars Tarkas, the ferocious leader of the six-limbed, green Martian Tharks. But when the Tharks capture the beautiful humanoid princess Dejah Thoris, Carter almost immediately falls in love with her and begins plotting their escape. With the help of Dejah Thoris, the princess of another clan on Mars, John Carter fights for their freedom and love and to save the entire planet from destruction as the oxygen providing Atmosphere Factory slowly grinds to a halt. 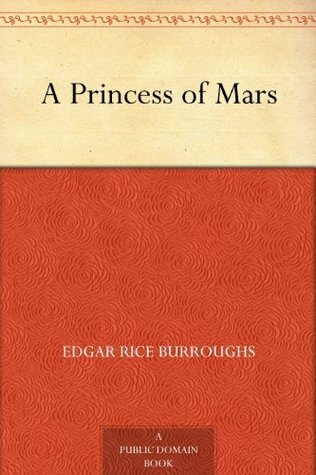 A Princess Of Mars is a product of another age, an adventure written to entertain an unsophisticated readership. Scientifically impossible and often soddenly narrated, it is too old-fashioned. But the book has been hugely influential, displays a good-natured innocence and certainly doesn't lack for action. 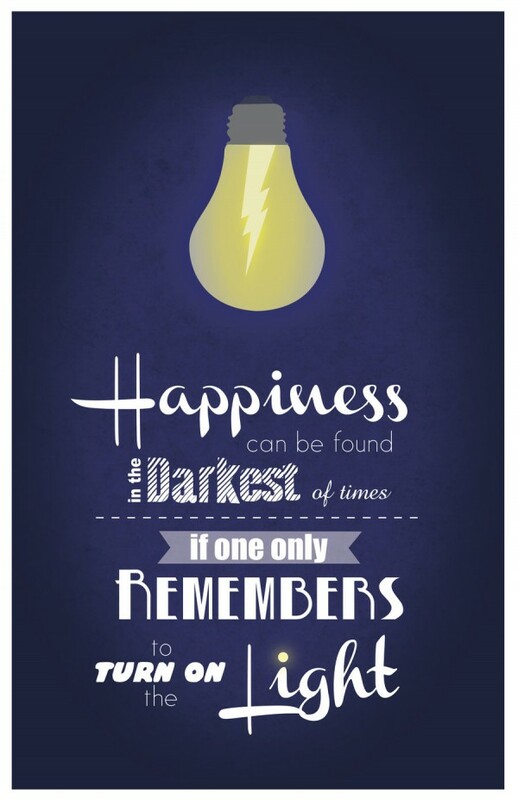 The way a writer portrayed the value of feelings and emotions in life and how love and kindness conquers all. Is Dejah Thoris still alive? Will John Carter find some way back to Mars or not? Is there still any sign of life left on mars after the breakdown of atmosphere plant? All experience of John Carter on mars was just his imagination or real? Neither do I like it nor do I dislike it. So, it's a 50/50 thing.